There are 3,048 Salesforce apps on the Salesforce AppExchange, and 41 percent of those are specifically apps for sales productivity. Decision overwhelm is certain. But research shows that customer-facing cloud apps enable lofty returns for customers of sales software, and you don’t want to fall behind competitors. Adobe Sign has been the highest-rated e-signature app on the AppExchange for a decade. With Salesforce1 and Lightning-ready integrations, the app allows you to send, sign and file contracts easily on any device without leaving Salesforce. Start with a 30-day free trial, but you must call for pricing. Sertifi allows your customers to conveniently sign and pay online. The app is Salesforce1 ready and integrates with Zuora, Conga and Drawloop. A 30-day trial is available, but does not include the payments feature. Sertifi offers discounts for nonprofits. SpringCM enables users both in and out of Salesforce to easily manage their own sales contract creation, while providing complete visibility into the contract process. The app is Lightning-ready and available in Salesforce1, in addition to integrating with other e-signature applications. Pricing starts at $29 per user per month. Conga simplifies document generation, delivery and reporting. The app allows you to easily create documents, presentations and reports in Word, PowerPoint, Excel, HTML email and PDF from any standard or customer object. Compatible with Sales Cloud, Service Cloud, Salesforce1 and Lightning, pricing for Conga starts at $18 per user per month and is discounted for nonprofits. Octiv generates consistent proposals, presentations and contracts from any Salesforce object. Documents can be tracked online and with real-time notifications via text, email and Chatter. The app integrates with Salesforce1, Chatter, DocuSign, EchoSign, Box, DropBox, SteelBrick and more. Users can contact Octiv for pricing. Nintex enables you to automate and customize document generations using Salesforce, Apex or other external data sources. Activate document generation processes by clicking a button, by batch or through workflows. Third-party integrations include Adobe Sign, SpringCM, Chatter, Gmail, DocuSign, Sertifi, Salesforce1 and DocuSign. Pricing starts at $12 per use per month, with discounts for nonprofits. GridBuddy enables Excel-like mass editing, updating and creating across multiple objects. Cross-reference standard, custom or unrelated objects in a report-like view with dynamic charts, and filter down multi-object data sets to just the records you want. The app offers a free, 30-day trial, but users must call for pricing. LevelEleven is a sales activity management system that engages salespeople in the behaviors that lead to closing more business. With sales performance scorecards, the app is built to be used by sales managers from installation through day-to-day execution and integrates with Work.com, Salesforce1 and Lightning. Users can contact LevelEleven for pricing. Discounts are available for nonprofits. Hoopla motivates sales with leaderboards and gamification. The app lets you create contests and competitions around any Salesforce object or metric, as well as connect remote offices with broadcasts of live, real-time performance updates on leaderboards. Pricing starts at $360 per package per month (paid annually), but is discounted for nonprofits. Apttus offers robust CPQ software to manage configuration, pricing, quoting, discounts, incentives and proposals. Built on Salesforce1 with Lightning-ready capabilities, the app can be used alone or in combination with other Apttus solutions to automate the entire quote-to-cash process. Contact Apttus for pricing. Oracle CPQ has four modules for configuration, pricing, quoting and renewals. The intuitive CPQ offers a point-and-click interface and immediate deployment. Oracle BigMachines is the winner of the “Best Quoting & Orders” App for five years in a row. Contact the company for pricing. SteelBrick ensures accuracy for pricing and quoting all within Salesforce, on any device. The app offers customizable templates, streamlined product configuration and integrations with eSignature partners like DocuSign. SteelBrick is 100% native and offers 5 to 10 times faster implementation than legacy CPQ. Pricing starts at $40 per user per month. Ebsta for LinkedIn allows users to view Salesforce records alongside LinkedIn profiles. 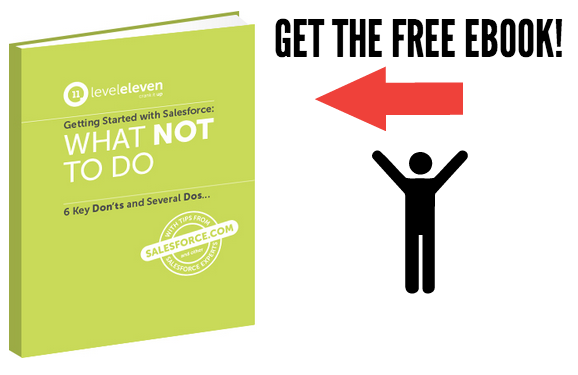 The app provides relational alerts and only requires one click to open records in Salesforce. Ebsta says it’s free first the first three installs, and pricing starts at $12 per user per month. LeanData provides a complete view of the B2B buyer’s journey to enable Account-Based marketing and sales. A Lead2Account matching engine ties leads to accounts to ensure timely follow-up, while LeadData Clarity offers visibility into top accounts. Users can contact LeanData for pricing. OrgChartPlus enables fast and easy organizational chart creation for existing contacts in Salesforce. The app also allows you to map deal decision trees and non-formal relationships. Pricing starts at $18 per user per month with discounts available for nonprofits. When adopting new Salesforce apps, your overall goal is to improve sales productivity. However, overloading your team with too much at once will backfire. Consider starting with an app that enables full Salesforce adoption like sales activity management. Then layer other pieces of technology on top of it. Need a Salesforce app to improve sales productivity? Whether you need contract management or sales activity management, find the best Salesforce apps here.